Search engines are the primary source of traffic for innumerable websites and blogs. This makes search engine optimization (SEO) very important for the success of your site. But it isn’t as easy at it sounds. Given the ever-growing importance of SEO and the realization that people often struggle with it, I decided to do something about it. We have already been using various SEO tools including Moz, SEMRush, Pro Rank Tracker, Google Adwords to boost our website traffic, but apart from these, there are various useful plugins available for WordPress that takes care of all our necessary SEO requirements. This week, I have rounded up 25 of best SEO plugins for WordPress. I hope they help you improve the SEO of your WordPress site. Read on. This plugin speeds up the page load speed of your site. It is easy to set up and it works best on content heavy sites. The plugin admin settings can be used to determine which elements are to be lazy loaded. As the user scrolls down the site, the elements you have applied lazy load to are loaded only when they become visible to the user in the viewport. This plugin offers great features too. It offers XML sitemap support. And it integrates with Google analytics. This SEO plugin for WordPress also has advanced canonical URLs. If you change the content of your website, it automatically notifies the search engines. It provides SEO integration for e-commerce sites. And it helps in meta tag generation and more. The All in One WP Security and Firewall plugin is an easy to use, well supported, and stable security which is why it is considered as one of the best SEO plugins for WordPress. It checks for for vulnerabilities and implements and enforces the latest security practices and techniques. This plugin uses a security points grading system to ensure you activate recommended security features. It ensures user account security, user login security, user registration security, database security, and more. This is an important SEO audit plugin. It helps you clean up your WordPress site. You can spot and remove broken links and fix redirections. Broken links affect the SEO of a site negatively therefore they should be fixed quickly. The Broken Line Checker plugin checks all of the URLs on your WordPress site and gives you a complete report of broken or redirected links. A CDN-content delivery network helps distribute content via proxy servers and data centers. The CDN Enabler Plugin for WordPress helps you integrate a CDN into your WordPress site easily and quickly. This plugin links your content to the CDN URLs. It can define exclusions. And it helps you manage HTTPS by enabling and disabling them when needed. The EWWW Image Optimizer helps your site load faster by optimizing your images marketers also consider this as the best plugin for WordPress. A website that loads faster has better rank in search engine results. It has no speed limits and it can manage large files by using automatic background optimization and optional parallel optimization. Its intelligent conversion option get the right image format and best compression/quality ratio. 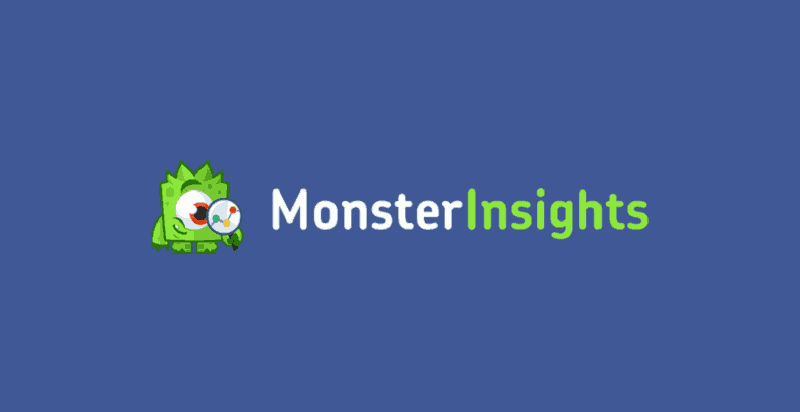 Google Analytics for WordPress by MonsterInsights is the best seo plugin for WordPress that connects your site to Google Analytics. This plugin makes analytics easy. It helps you track blog visitors with ease. You can see Google Analytics dashboard inside the WordPress admin area on your screen. And you can track Google Adsense Ads and outbound link clicks with this plugin. You can use Google XML Sitemaps the best seo plugin for WordPress which ensure that Google indexes your WordPress site properly. This free plugin helps generate a special sitemap. It informs the search engines whenever the content on the site is updated. If there is a page on your website that is not reachable from the homepage in a certain number of clicks, or if a page is not linked properly to other pages, Google might miss indexing those pages. Google XML sitemaps makes sure it doesn’t happen. LiteSpeed Cache is an all-in-one site acceleration plugin. This PHP based is also considered as the best seo plugin for WordPress offers a very efficient caching solution. Its optimization features ensure that your site takes less time to load. It reduces overhead and delivers faster caching process at the web server level. And it enables you to have customized settings for desktop and mobile versions or different views for different geographical locations. The Pretty Links is one of the best seo plugin for wordpress makes it easier to manage your social links, redirects, and affiliate links. These links are easily accessible from your WordPress website’s admin interface. The links would have your domain name thus giving you full control over how your links look and redirect. This plugin will also help you search, group, sort, and track clicks for your links. And you can find out how your links are doing in real time. The Pro Rank Tracker plugin helps you analyze SEO rankings. It provides you a lot of SERP (Search Engine Results Page) information. It checks the position of your site’s pages for particular keywords in Google. And it keeps you updated on the rankings of your sites and your videos. It also provides powerful rank tracking options across different search engines and for that reason it is in the list of the best seo plugin for WordPress. If you are looking for a good redirect manager for WordPress, check out the Redirection plugin. It keeps track of all of your 404 errors. And it manages 301 directions efficiently. It also helps you reduce errors which in turn helps with the SEO of your site. This plugin has a fully featured import and export system and for that reason it’s recommended as the best seo plugin for WordPress. This is the highest reviewed WordPress plugin for seo adding nofollow links. It is a very simple solution for non coders. You need to add the Rel Nofollow Checkbox to the visual editor link box and then checkbox plugin will start functioning. A simple checkbox is added in the insert/edit link popup for including nofollow attribute. When search engine spiders see nofollow links, they do not follow that link. Do you edit your SEO data page by page? If so, then you will probably agree that it is a time consuming process. The SEO Editor plugin for WordPress saves you time. It helps you edit your SEO data on multiple pages. This WordPress plugin pulls in meta titles, descriptions, and keywords from different pages into a single view and that’s why its in the category of the best seo plugin for WordPress. Wondering how to optimize each and every image on your WordPress site? The SEO Optimized Images plugin is the answer. This plugin inserts SEO friendly ALT attributes and TITLE attributes to your images. All you need to do is to activate the plugin, and provide the patterns for how you want the tags to be written. The plugin automatically adds optimized attributes. It helps you get more traffic from search engines. 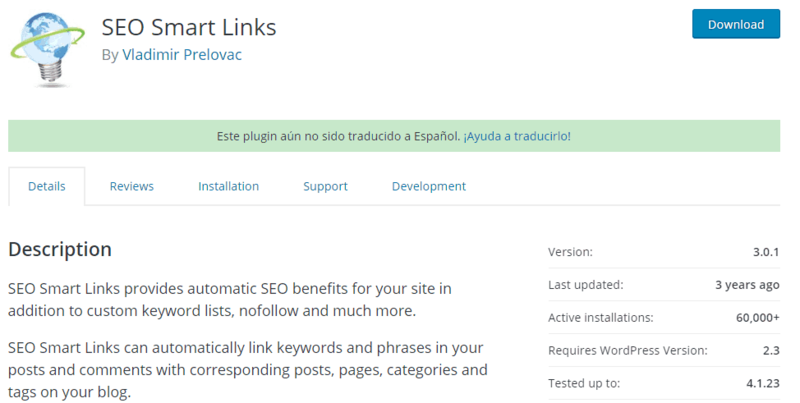 SEO Smart Links is one of the best SEO plugin for WordPress sites. It improves your search engine ranking by automatically interlinking your pages. It links keywords and phrases too. It passes one page rank to another. Comments can be linked to corresponding pages, posts, categories, and tags. The plugin can also help create affiliate marketing links. The SEO Squirrly plugin is a useful and best SEO plugin for WordPress site. It helps you optimize your content while writing or editing. It helps you find the right keywords and topics for SEO purposes. It tracks and helps you manage your content strategy. You can also get help on your ecommerce SEO strategy. It helps you manage information in metadata. The SEO Ultimate is a very powerful and considered as best SEO plugin for WordPress. It has a title tag rewriter which helps improve keyword SEO. Its meta description editor increases SERP clickthrough rates by influencing search engine result snippets. Its deeplink juggernaut uses the power of anchor texts. It provides eye-catching supplementary SERP data with rich snippet creator. And it has additional features like 404 Monitor, SEO ultimate widgets, linkbox inserter, and more. SEOPress is one of the most feature packed plugins and marketer consider this as the best seo plugin for WordPress. This plugin can improve your website’s SEO, increase traffic, and create XML sitemaps and navigation breadcrumbs. It enables you to control page titles and meta information. And it supports Google Analytics and allows you to edit your Robot.txt and .htaccess files. This plugin for WordPress has a long list of other impressive features. Simple URLs is a URL management system that allows you to edit, create, and track outbound URLs on your WordPress site. It uses custom post types and 301 redirects. And it can help you avoid page based redirects and therefore it avoids issues with permalink conflicts. The Simple URLs plugin is useful for internal link tracking, banner, button or text link advertisements, links to your Twitter and Facebook page, and more. It is one of the best SEO plugins for WordPress. W3 Total Cache helps scale your WordPress site. It helps enable your site to handle huge loads of traffic without crashing. And it can help your WordPress site with database cache, page cache, browser cache, object cache, CDN integration, and more. Mobile friendly websites and sites using SSL improve their search rankings. It can help you save bandwidth too. WPTouch is the best seo plugin for WordPress which automatically adds a mobile theme for the visitors who view your site through a mobile phone. It enables a mobile-friendly version of your site which improves your SEO. Google penalizes sites which do not have a mobile-friendly version. Your desktop theme remains the same. The WPTouch administration panel and WordPress customizer customize many aspects of the site for the visitors accessing the site with a mobile phone. 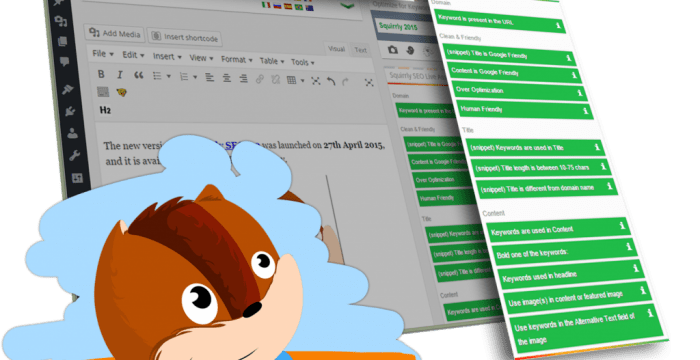 YARPP is very useful and the best SEO plugin for your WordPress site. The Yet Another Related Posts Plugin shows pages and posts related to your current entry. It helps you keep your visitors engaged by showing them other related and relevant posts on your WordPress site. And it can show thumbnail or list view of the related content. It uses advanced and versatile algorithms to show related and relevant posts. Yoast SEO is the leading SEO plugin for WordPress. It provides the most advanced XML sitemaps functionality. And it helps you set canonical URLs to avoid duplicate content. The plugin checks the post for you focus keyword. And it has helpful templates for title and meta descriptions. It also enables full control over your site’s breadcrumbs. And it integrates easily with Google Search console. This list of 25 of best SEO plugins for WordPress can help you improve your site’s SEO. You can experiment with these plugins and use the ones that give you the best results. If you have been using SEO plugins for your WordPress site, and have a favorite that’s not listed above, please share it with us in the comments section below. We would love to hear from you.